If you have a septic tank, you know the struggle of trying to remember which cleaners you can and cannot pour down a drain or flush. Certain chemicals can damage the septic system, causing a smelly problem – make that an expensive, smelly problem. Fortunately, routine care and awareness of which all-purpose cleaners are best to use can keep your septic tank running properly for decades. What Cleaners Are Safe For A Septic Tank? A number of everyday household cleaners are dangerous for your septic system. Even chemicals that you only use on occasion can cause damage. To keep your septic tank working properly, use a biodegradable all-purpose cleaner to rinse the toilet, sink or shower. 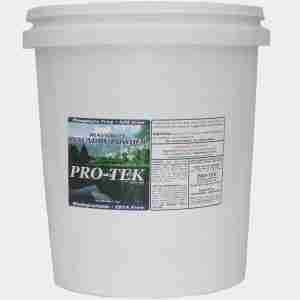 Pro-Tek Chemical is dedicated to creating efficient cleaning products that are safe for the ecosystem, which means you can use our nontoxic cleaners in your home because they contain no phosphates, hydrocarbons or formaldehyde – all of which can hurt your septic system. 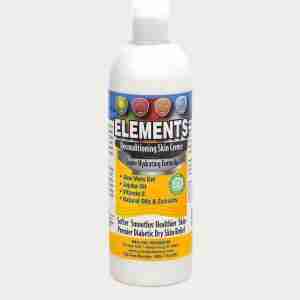 Ammonia and Bleach: Ammonia and bleach are not only harsh on the environment, but they can also wreak havoc on your tank. Even in small amounts, these chemicals can destroy the bacteria your tank needs to cycle correctly. Laundry Detergent: Unlike a nontoxic cleaner you can use on your clothes, laundry detergent contains phosphates and surfactants – not eco-friendly. The chemicals can seep into the underground, potentially harming the earth or living organisms, not to mention contaminating your drinking water. It’s best to use a liquid biodegradable laundry detergent, as powder cleaners can form clogs in a septic system, slowing processing speed or completely blocking the drain in severe cases. Dishwasher Detergent: Dishwasher detergent also contains nonylphenol ethoxylate surfactants and phosphates. Using a biodegradable all-purpose cleaner means you can use one product for dishes, clothes and stains. The nontoxic cleaner will keep your home clean without destroying the ecology of your tank or the ground beneath. Drain Cleaner: Drain cleaners are one of the worst chemical-laden products for your septic system. Even monthly use of a drain cleaner can do harm to the bacteria in your tank. The chemicals in these cleaners are very corrosive and should be avoided completely. It’s also a good practice to limit your use of the garbage disposal to avoid overloading the tank with oils and fats. Your septic system has its own ecosystem, with living organisms that help digest and treat waste from your home. That ecosystem performs at its best with nontoxic all-purpose cleaners. Using chemical-filled products can kill those organisms and hurt your septic system. While there are a number of factors that play into the maintenance needed on your septic tank – family size, septic tank size, water use – most septic tanks should be pumped every three to five years. By using biodegradable cleaners for your toilet, sinks and showers, you will better maintain your tank and extend the life of your septic system between pumps. Whether you’re washing clothes or the dishes, scrubbing the shower or polishing the faucet, using a green cleaning method in your home will support your septic system. Old Faded Shirts = New Cleaning Cloths!